If you are looking for a distinctive case that will set you aside from all the other boring old cases out there, then prepare yourself for the X-Cruiser Thermally Advantaged Case from Apevia. 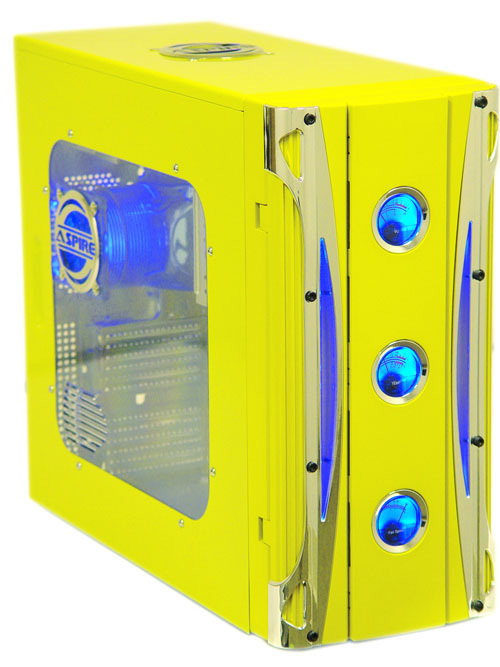 With a unique front bezel door design that incorporates "old school" analog style gauges to display temperature, fan speed, and volume, this engaging case is sure to be the hot topic at your next LAN party! Front located controls for fan speed, and volume control allow you to make adjustments with ease. Material: Steel Dimensions: 19.25" x 7.75" x 17"
Dimensions (D x W x H): 19.25" x 7.75" x 17"